Podcast Episode 46 is now online! 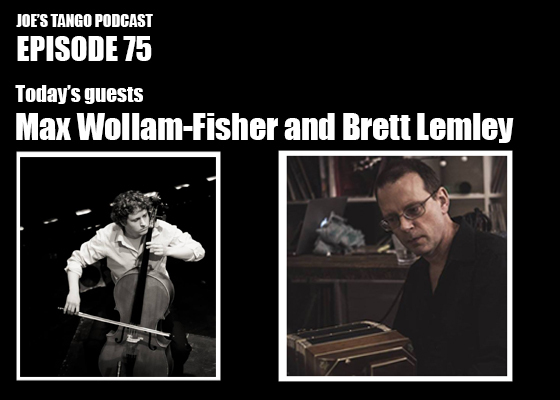 Episode 46 of Joe's Tango Podcast is now online! In this episode, we'll meet Maxfield Wollam-Fisher. 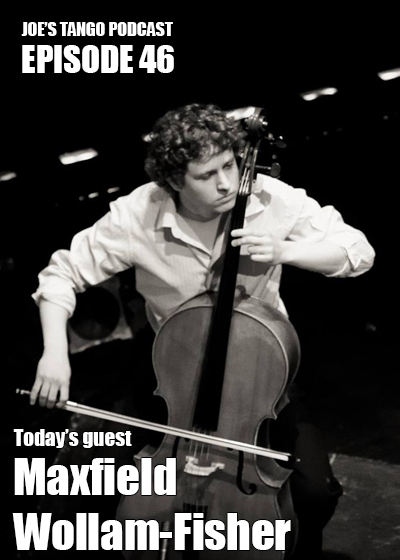 Max is a professional cellist based out of Washington, DC. He's the leader of the dynamic tango music group, Da Capo Tango. Passionate about his craft, he's shared the stage with tango legends such as Pablo Ziegler, Pablo Aslan, and many others. I first met Max in the early 2010s while he was in graduate school. He showed up to one of my tango classes, and I'm really glad we kept in touch. It's been great to follow his career, and it gives me hope that young guys like Max are working hard to move tango music forward. Check out our conversation on on iTunes, Soundcloud or Stitcher.